Overcome weariness by making changes and trusting God !!! 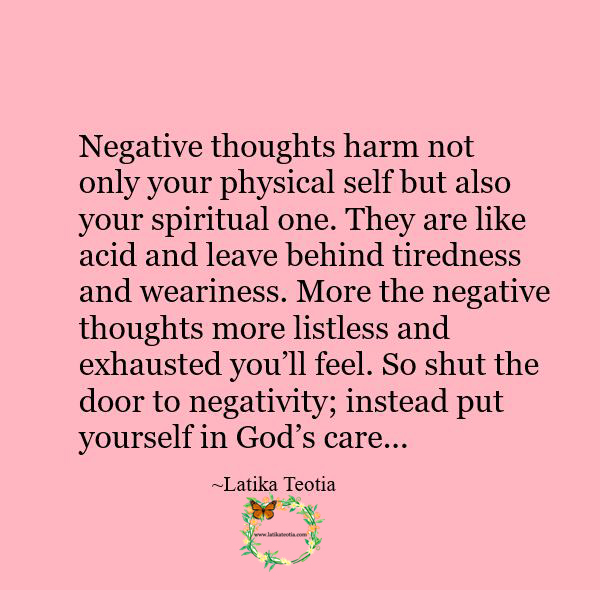 Negative thoughts harm not only your physical self but also your spiritual one. They are like acid and leave behind tiredness and weariness. More the negative thoughts more listless and exhausted you’ll feel. So shut the door to negativity; instead put yourself in God’s care; He’ll gently hold your hand and firmly guide you in all your endeavors. Trust God and have faith in Him.